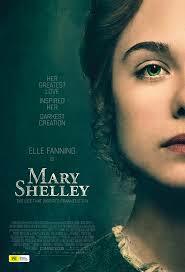 Review: This tells the story of Mary Wollstonecraft Godwin who wrote the most famous Gothic novels called ‘Frankenstein’ and also her relationship with poet Percy Bysshe Shelley. Disappointing film considering that this director directed the fantastic Wadjda (2012). Haifaa Al-Mansour becomes the first Saudi female director ever to direct a Hollywood film. This has a fantastic cast but felt that none of them were able to shine in this. There was no direction and the actors didn’t know what to do. I have to say that there was no script or plot-line. Standing in at 2 hours I did find it very long. It didn’t need to be that long and there were moments where the film was really slow moving. Just some of the themes that this tackles are abandonment, cruelty and arrogance.